1 Combine Knorr® Roasted Turkey gravy mix and water in small saucepan with wire whisk. Bring to a boil over high heat, stirring frequently. Reduce heat to low and cook, stirring occasionally, until gravy is thickened, about 5 minutes. 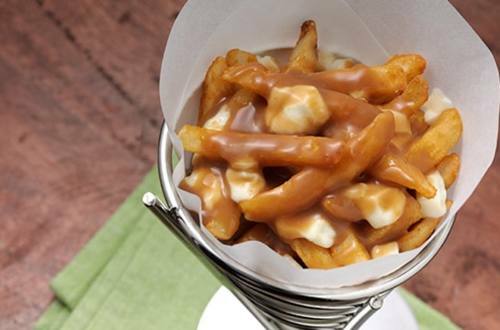 2 Toss hot French fries with cheese curds, then top with gravy. Serve immediately.